We're nearing the end of Scandal Season 3 (yes, sadly, already), but ABC is at least making it very clear that the crazily awesome Shonda Rhimes-produced drama will not be going out quietly. 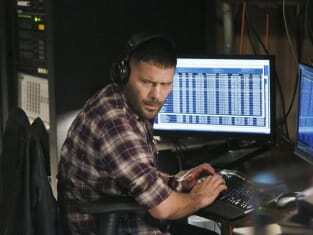 In fact, based on the first official teaser for Scandal Season 3 Episode 17, it will be going out with a ... BOMB. Prepare for a security breach to cause problems on next Thursday's new installment, while Fitz’s re-election campaign gets stalled and Adnan and Maya plot their next move. Need to catch up prior to the April 17 finale? You can always watch Scandal online. We make it easy. Fitz: Somebody out there wants me dead. Mellie: [laughs] He thinks it's just out there. Permalink: He thinks it's just out there. Mr. President, how may I be of service? Permalink: Mr. President, how may I be of service?